On June 29th, I was reading my some of the blogs I visit. I came to the one from Heather at A Cherished Life. I was pleasantly surprised to see my name listed as a winner. It seems some of the winners didn't respond - but I was playing nice (like we learned in kindergarten - okay I didn't go, but I learned it from my Mom) So I posted a Congrats to the winners. She decided to reward those who posted again with a second chance. See, mom was right, it pays to play nice! Each of those is a Fat Quarter. And there was a full bag of Werther's Originals in with it. Hey wait! Someone has been in that bag. Hmmm...Now you know why my mouth is feeling so happy! A big thanks to Heather!!! Congrats on your win. They are pretty fat quarters! Nice fabrics, yay for you! 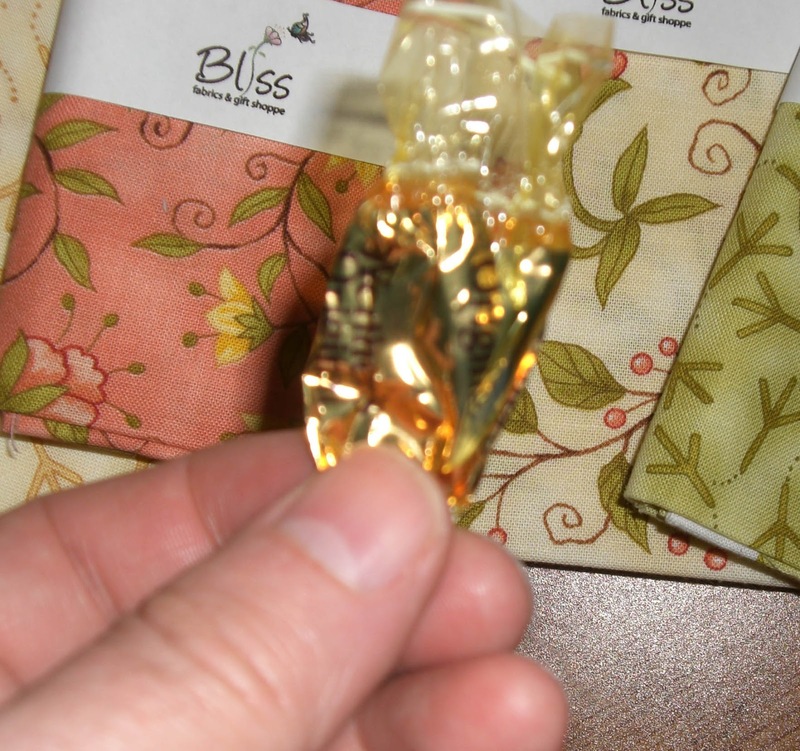 Such pretty fabric, and candy too? Now that's what I call a great win! Congrats, Gene! 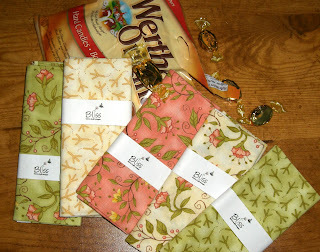 Congrats on the wonderful win and love the fabrics! Guess what Gene!!! You are one of the winners of my batik giveaway, so stop over! Congrats on the win, Gene! 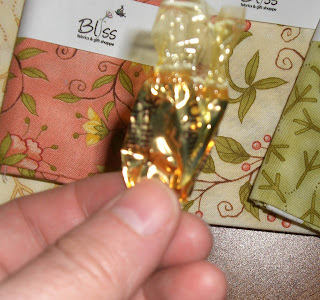 Beautiful fabrics and aren't Werther's caramels just the most awesome taste in your mouth? Love them! Your mom taught you well.....and that empty wrapper....explains it all. Wow Gene! That was a wonderful video. I think that would work in my machine. Thanks.